We arrive to the end of the IFD9506 monographic with the definitive application (and some final desert). 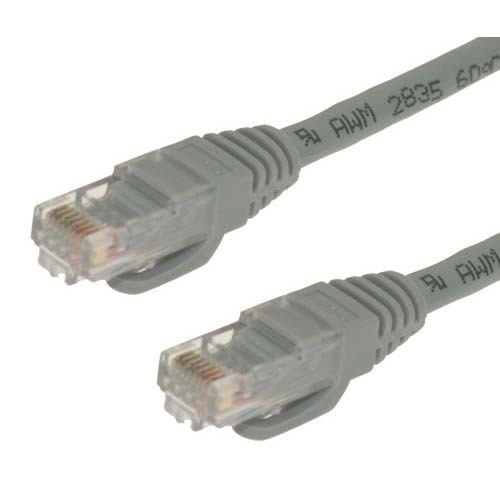 In this case we use the IFD9506 to add any Delta product to a Ethernet network. In fact with the new firmware V1.07 is possible to add until 100 devices below the Ethernet gateway!! And as a final climax, one last example of how to use IFD9506 as a gateway between one Ethernet HMI and some RS485 Delta periphericals (EX2, SV and DTB). 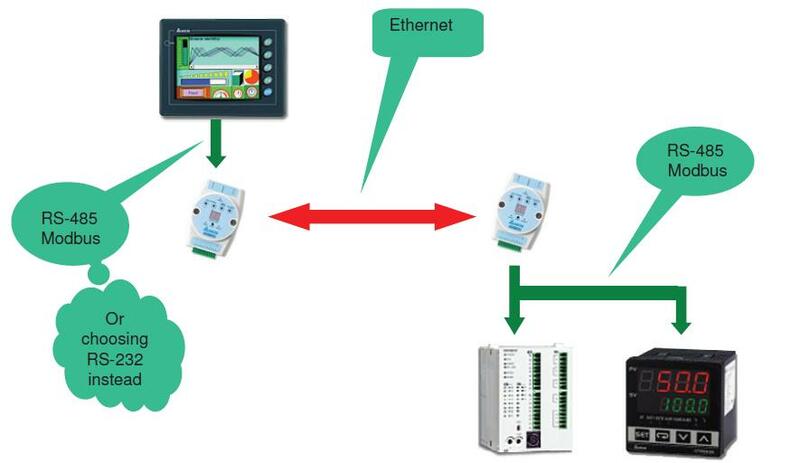 Each automation brand have their own protocol based on Ethernet (Profinet, Ethernet/IP, Ethernet Powerlink, etc…). In Delta, we have been playing with Modbus from the beginning, so in the moment that we decide to enter to ethernet, the natural choice was Modbus TCP/IP. But what happen with all the devices already in the factories working with Modbus RS232 or RS485 ? To solve this need, we develop IFD9506. 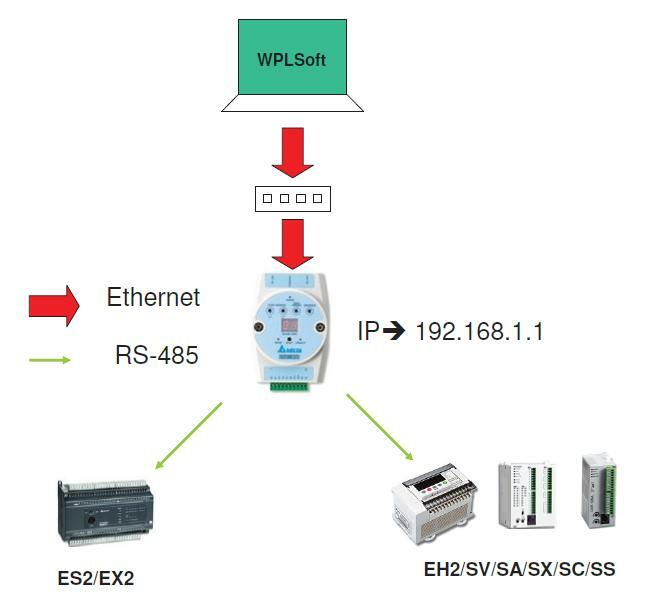 This device is used to convert from Ethernet Modbus TCP/IP to serial communication Modbus. And the following weeks we’ll share with you all several typical applications and functionalities of this device. 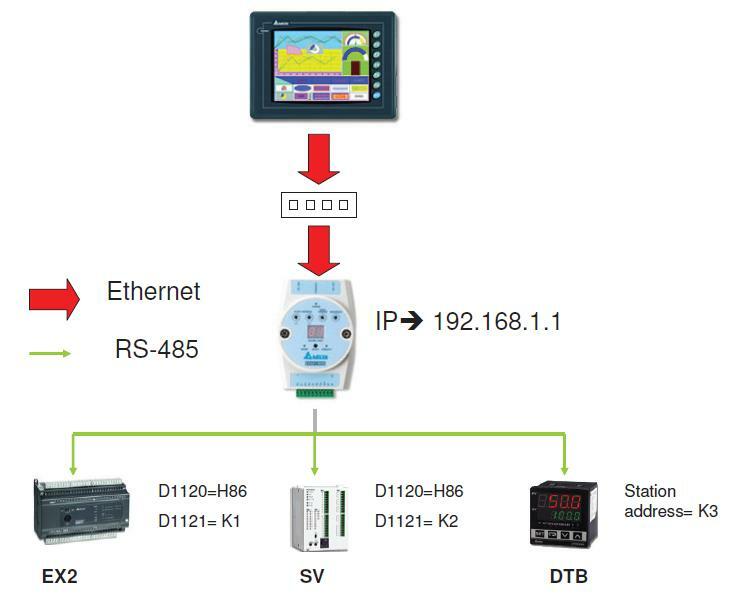 To start, we are going to use the simple communication HMI-PLC-DTB and we’re going to add two IFD9506 to achieve to communicate both three devices trough Ethernet as the picture shows. To achieved, use the attached application tutorial. And take a look at the last page and our first approach to web server!